Customers using SQL Server 2012 today! In my last post in November on Mission Critical customer implementations of SQL Server, I mentioned that we would include some details on customers already using SQL Server 2012. Over the last few weeks, we have released some of these first stories highlighting customers that are already realizing the benefits of using new features such as AlwaysOn, Power View and Data Quality Services. This is an opportunity to bring some of those first stories into one place so you can get an overview of these stories. Below you will find a short description of the case studies with links to more detailed accounts of the stories. As the second-largest shipper in the world, Mediterranean Shipping Company (MSC) must access and share operational data with global employees and partners all day, every day to deliver excellent service. In 2011, the company began to update core systems with new software from Microsoft to implement innovative availability and disaster recovery capabilities. As a result, MSC can facilitate growth by speeding data access, minimizing downtime, improving security, and reducing costs. To support ambitious growth plans, Great Western Bank needed to increase profitability, simplify compliance, and gain better insight into customer relationships. The bank deployed a Microsoft data warehouse and business intelligence solution because of previous success in building an extremely complex system with the technology. The bank can now more easily attract and retain customers, maximize the amount of money it loans and invests, and prove its growth capacity to regulators. To help its customers make real estate decisions, RealtyTrac needed to provide more accurate property data and a clearer view of each property’s mortgage information. The company deployed a Microsoft solution to take advantage of tools that information workers can use to improve data quality and analysis. With accurate and comprehensive data, RealtyTrac can help its customers make better decisions and improve its own competitive advantage. It also expects to save IT time and costs. ServiceU, part of the Active Network, Inc. (NYSE: ACTV), needed to increase availability for its mission-critical online event management applications. The company implemented a new Microsoft high-availability and disaster recovery solution, which reduces downtime and gives customers more confidence in the availability of the applications. Also, the company has cut failover time between nodes by half, made IT administration simpler, and expects to reduce development costs. To improve customer service and support growth, Edgenet needed to export critical product data more efficiently to online retailers and search engines that provide the data to shoppers. It also wanted to increase employee and customer insight into this data. Edgenet deployed a Microsoft solution for enterprise-level performance, availability, and business intelligence. Edgenet can now serve more customers faster; its network is simpler; and it is improving its competitive advantage. 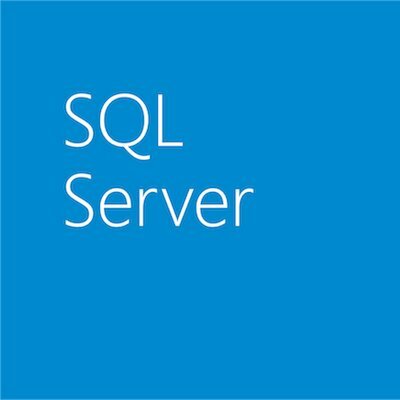 Are there many other SQL Server 2012 stories coming? Expect to see a lot more SQL Server 2012 case studies (and earlier versions of SQL Server) published over the next few months. To make it easier to find these stories, we will be adding a new Customer Stories section to the SQL Server website in the next few weeks, so you can easily find stories that match the Version, Workload, Industry or Country of implementation you are looking for.